The Rules and Regulations Governing the Administration and Enforcement of the Freshwater Wetlands Act (July 16, 2014) have been re-codified. This re-codification followed a standard format for the Rhode Island Code of Regulations as required by amendments to the Administrative Procedures Act (R.I. Gen. Laws Â§ 42-35-5). The Law requires State Agencies to reformat and refile their rules by December 31, 2018 or the rules would sunset. To meet this deadline, the RIDEM and the CRMC reformated the existing Regulations with only minor and non-substantive changes to fit the prescribed format. However, the Agencies continue to work on the revisions to the Regulations consistent with the amendments to the Freshwater Wetlands Act (R.I. Gen. Laws Â§ 2-1-18 et seq.). The Agencies will be announcing plans to coordinate with stakeholders and begin the public process for the pro-posed revised rules in the near future. I had the opportunity to attend a presentation on the upcoming regulation update. They appear to represent a dramatic departure from the current policies. New regulations are targeted for the end of 2019. The University of Maine offers a B.S. 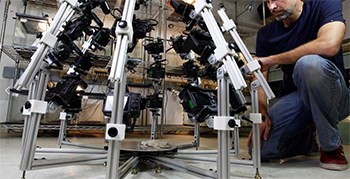 in Surveying Engineering Technology, an online course that focus-es on skills and education required for professional practice. Starting with a basic grounding in mathe-matics and the physical sciences, the student is con-currently and progressively taught a combination of surveying, practical engineering, and business. I am pleased to be acting as a mentor for one of the students in this exciting program! It seems every day, we're answering a question about why some GIS shows someone's boundary line running through the neighbors garage. 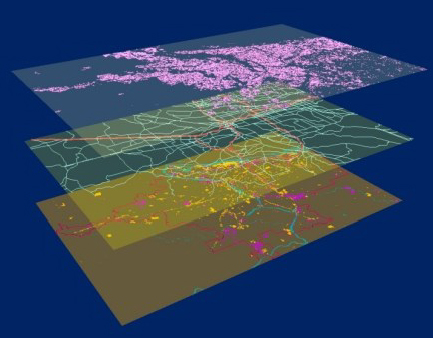 Geographic Information System (GIS) data is pulled together from a variety of sources with varying degrees of accuracy and precision. Overlaid together, the error found within each dataset is amplified. Overlaying a parcel database that may have an accuracy of +/-10 feet onto aerial imagery with an accuracy of +/- 30 feet can lead to features ending up over 80 feet away from their true point. DEM has records of most septic system permits from 1968 to present. Depending on when the system was installed, records may be available online or a physical copy of the file may be available in the DEM archives. Online records are separated into two categories: before 1990 and after 1990. 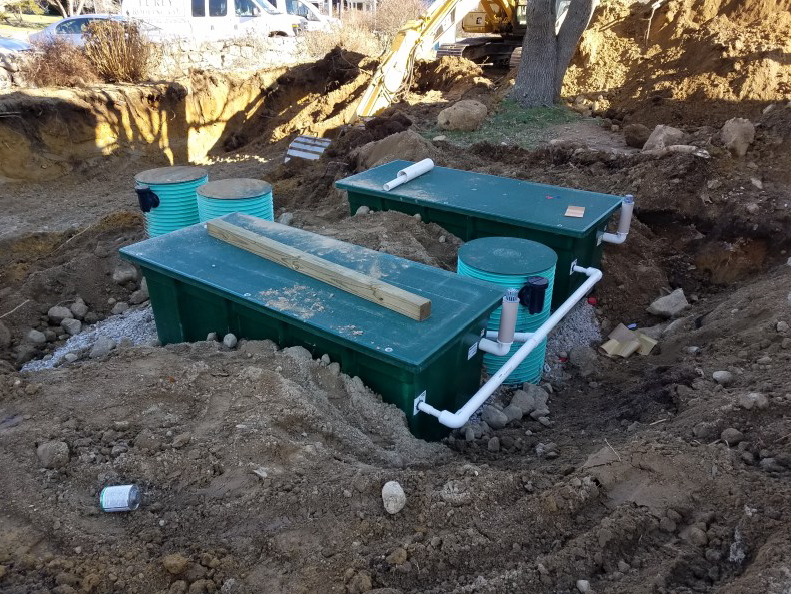 DEM septic system records are filed by the assessor's plat and lot number when the system was installed. Check with the property's local Tax Assessor for this in-formation, as well as the subdivision number, the original property owner's name, and the year the property was first developed. 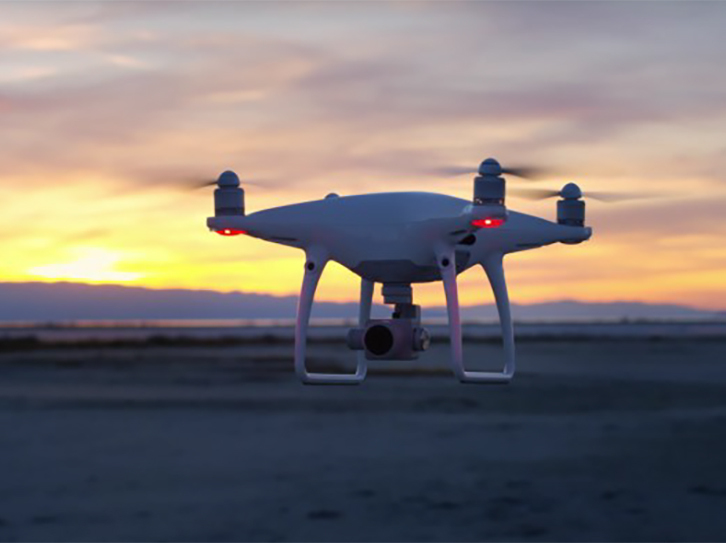 Our firm has recently committed to UAS (Unmanned Aerial System) technology with the acquisition of a DJI Phantom 4 Pro drone. We're enthusiastic about implementing this new technology and bringing it to bear on our client's needs. 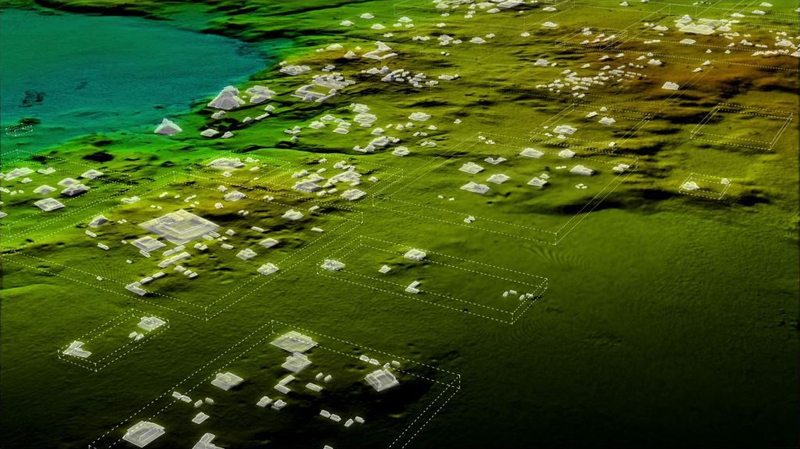 We anticipate the capability to take video and still images of sites and perform aerial photogrammetry to acquire both topographic and planimetric data. 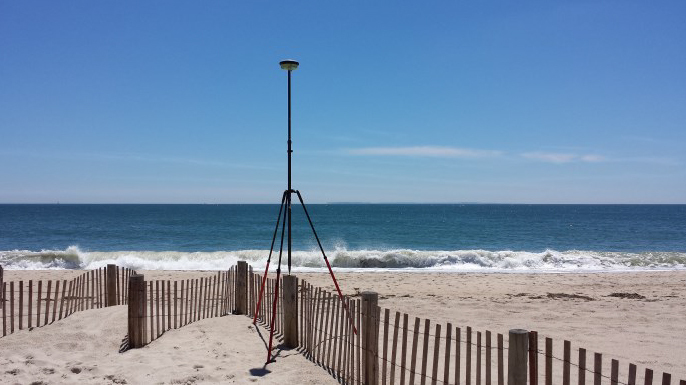 Call us to discuss this exciting new addition to our array of surveying instrumentation. 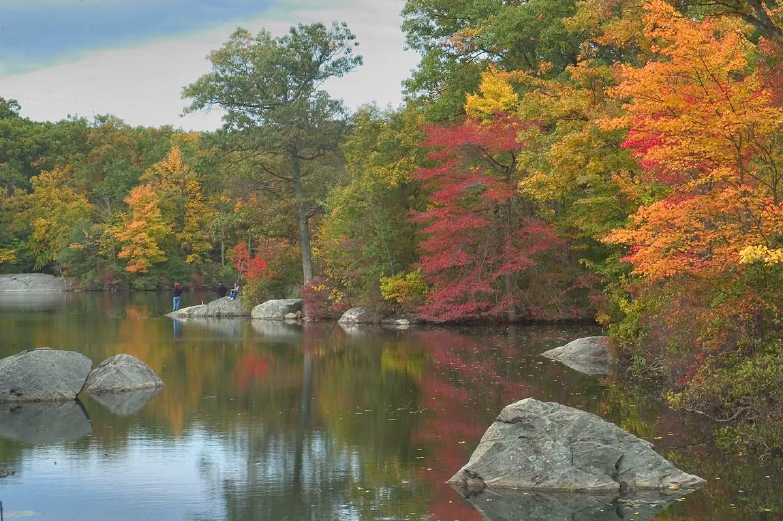 On 11-16-2017, the Rhode Island Department of Environmental Management, Office of Water Resources - OWTS Program announced their new policy regarding the review of OWTS applications. To reduce permit processing times and improve customer service effective December 1, 2017 the DEM OWTS Permitting Staff will begin emailing design review comments to designers. If an application is found deficient, an email will be sent to the designer summarizing the revisions that are required. If revisions to the tri-color application form or another application form are required these forms will continue to be mailed out via regular mail in addition to the email notification. If revisions to an application form are not required, no regular mail will be sent, only an email notification. For this new process to be implemented we are encouraging all designers to provide DEM OWTS with their email address on the application form prior to submittal. If an email address is not provided on the application form the standard mail process will be utilized. We applaud this new RIDEM policy and see it as in step with the way business is conducted today. The previous, and archaic, policy of mailing the entire deficient application package back to the designer needed to be relegated to the history books. We trust that this will be one step toward more efficient regulatory review here in Rhode Island. We are proud to announce that the Chariho surveying program has completed its 28th year in May 2016. 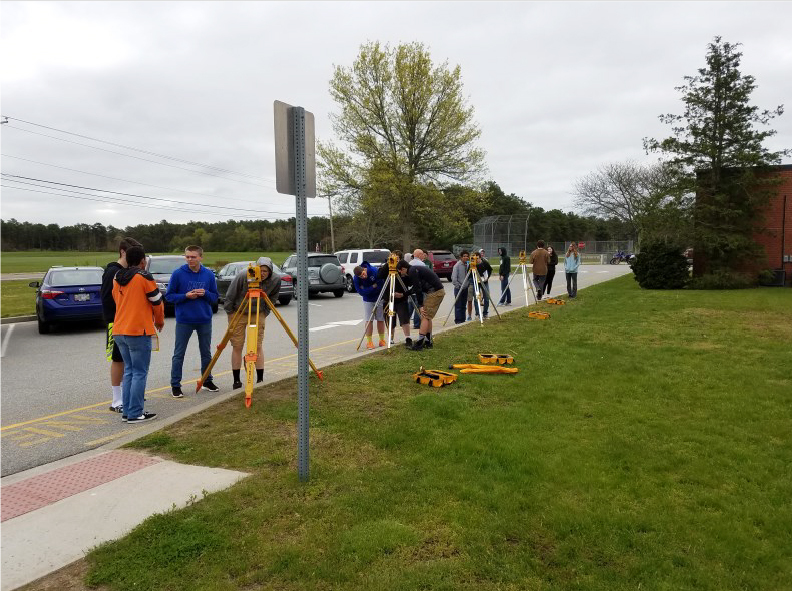 This program was originally developed by the Rhode Island Society of Professional Land Surveyors (RISPLS) and the Chariho administration as a vehicle to introduce young people to the surveying profession. 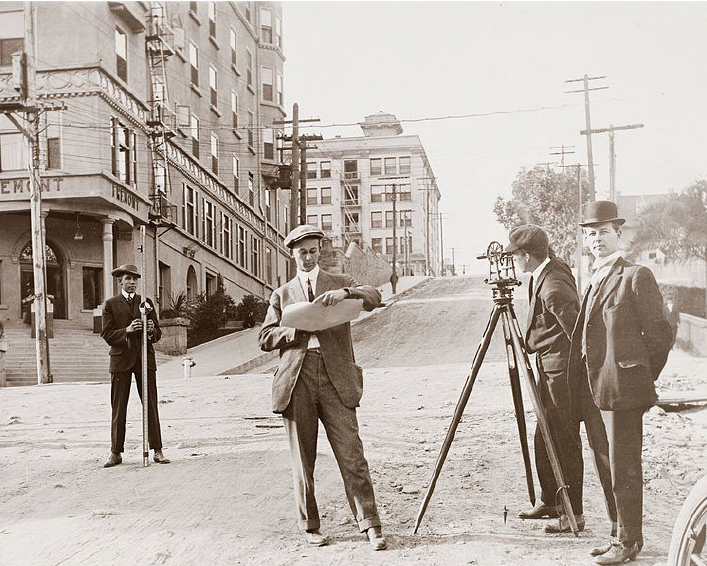 Those interested in continuing along the surveying path can utilize this basis introduction to obtain entry-level employment with local surveying and engineering firms. Some graduates of the program have gone on to join the state's surveying community, obtain advanced degrees in surveying and engineering, and attained professional registration. A review of the most recent salary and benefit statistics. The programs goes on to include the opportunity to gain hands-on experience with the school's various surveying instrumentation. Class participants take basic survey measurements, including the measurement of angles and distances, they develop field notes, and use that information to generate a map representing their observations. 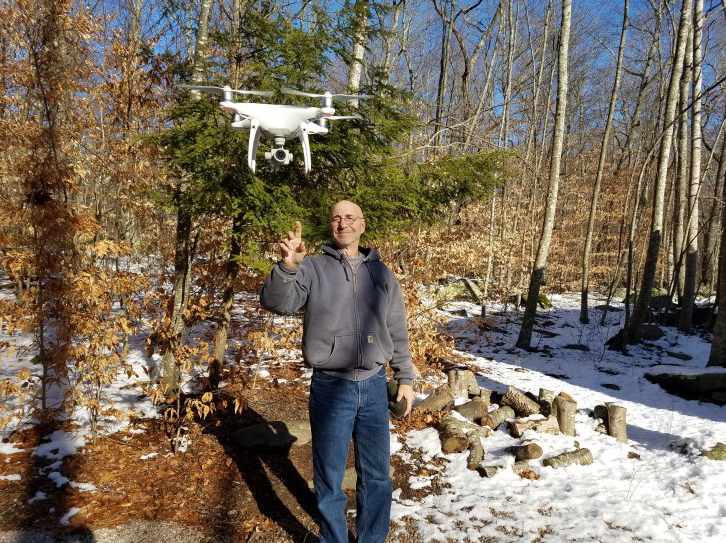 I appreciate the opportunity to interact with the students of instructor Jeff Domingoes and acknowledge Mr. Domingoes' gracious assistance in bringing surveying to the Chariho facility. I've had the pleasure of being the instructor for this program since its inception in the mid-1980's and, once again, I enjoyed this opportunity to share my passion for surveying with the this year's group of young people. What is Mean High Water? With the recent court ruling that confirms the extension of private ownership of beachfront property to the mean high water (MHW) line (specifically in the Misquamicut area of Westerly, RI), the inevitable question from both coastal property owners and beach visitors will be "where is the mean high water line"? 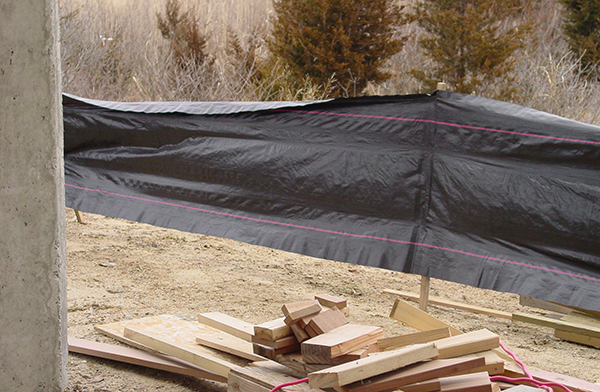 While there are several "rule of thumb" gauges for estimating the MHW line, the only precise and accurate method is to place the MHW elevation on the shoreline, typically utilizing survey techniques. It should be noted that even this accepted technique is only valid for a relatively short period of time as any change in the shoreline configuration (from storms or tidal actions) will change the horizontal location of the MHW elevation. Still, we believe that RTK GPS technology offers the most cost-effective solution to placing this critical feature on the shoreline. Call us if we can provide this service to you or your clients. A non-profit company called Digital Life has begin the ambitious project of building a database of digital scans of every animal on Earth...a modern day Noah’s Ark. 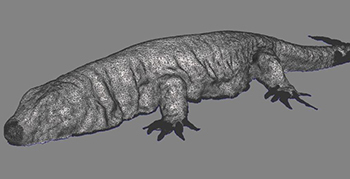 Their goal "...to preserve the heritage of life on Earth through creating and sharing high-quality and accurate 3D models of livings organisms." 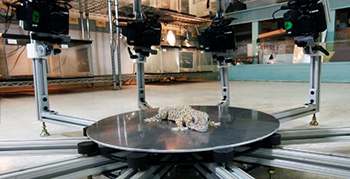 The Beastcam technology is a multi-camera 3D modeling platform that can rapidly capture 3D models of everyday objects, including living animals. This technology creates high-quality 3D models through photogrammetry—the integration of 2D images to create 3D models. 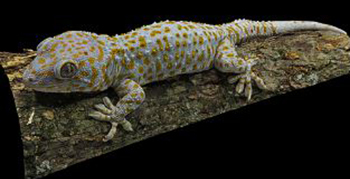 Digital Life is a non-profit initiative within the University of Massachusetts at Amherst that creates digital 3D models of living organisms to support wildlife conservation, science and education. Digital Life’s models are freely available online for public viewing. Visit their website. [From GPS World, January 2017]. The World Meteorological Organization announced the highest wave on record: a behemoth that towered 19 meters (62.3 feet) above the North Atlantic. 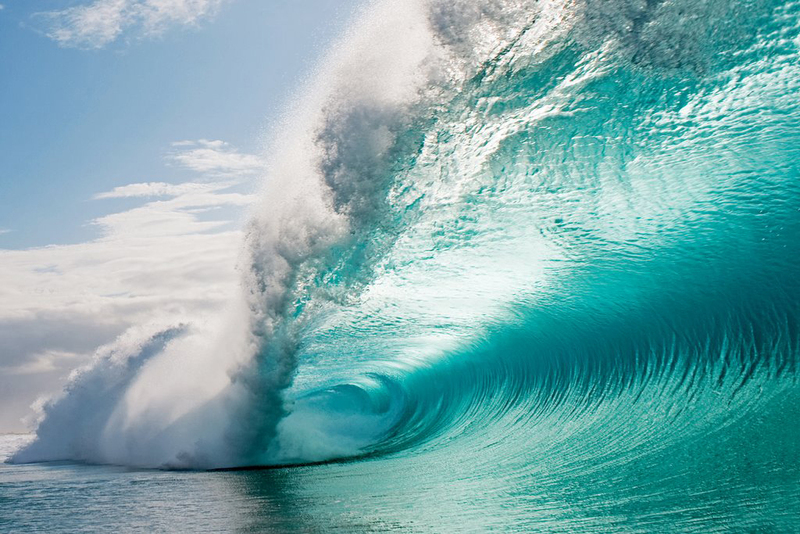 Examination of data sent by an automated buoy showed the monster wave rose on February 4, 2013, at a remote spot between Britain and Iceland. Automated buoys are vital tools for oceanographers, sending back data on sea currents, temperature and swells for seafarers, climate researchers and others. Many buoys are GPS-equipped to measure water height. "We suspect this one was, though it has not been confirmed." 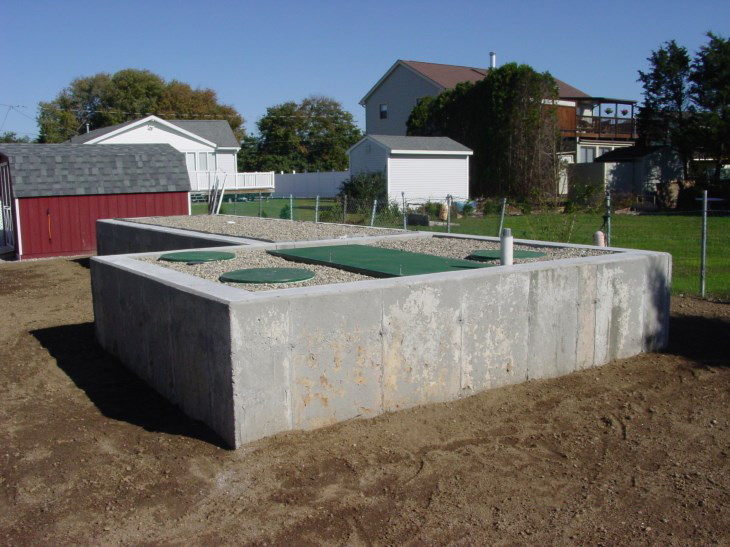 RIDEM has announced several new and updated Soil Erosion and Sediment Control Guidance Documents and Planning Tools.